Brac is one of Croatia’s most popular islands and receives numerous visitors and holidaymakers each year at its various resorts. The most famous resort on the island is Bol, with its well-known Golden Horn (“Zlatni Rat”) beach, and it is here that you will find a wide choice of accommodation. Supetar is also a popular resort, and is very easy to reach from the mainland, and both Bol and Supetar have a wide variety of accommodation, hotels and private. Milna is a smaller village, but still a lovely destination to stay in for those looking for a bit more of a relaxing time on Brac, whilst Sumartin (on the eastern tip of the island) and Postira (on the north of the island, close to Supetar) are quieter still but have a handful of hotels and apartments for vacationers. 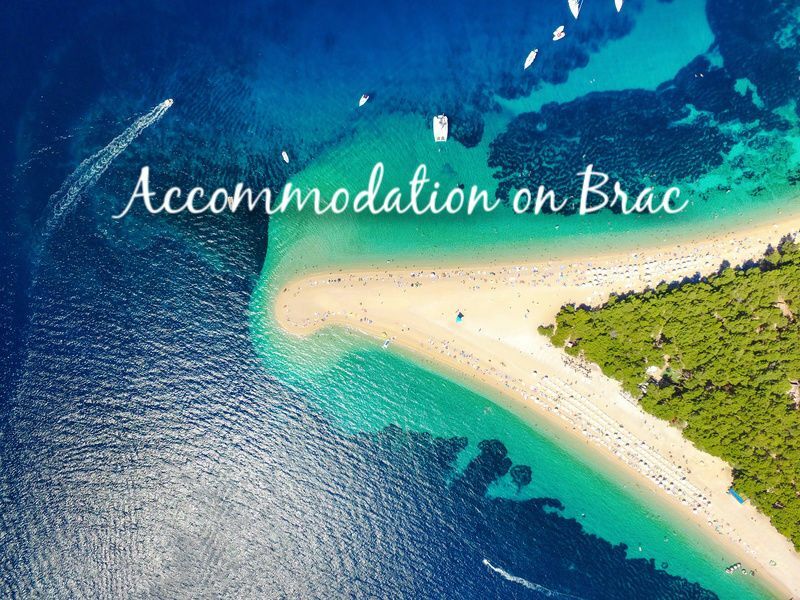 All in all, there’s plenty of choice when it comes for searching for accommodation on Brac! Search for accommodation using the box below (you can also directly type in your chosen resort) or use the lists below that to search by resort (individual pages feature hotels, villas, apartments and private accommodation) or by private rental type. Hotel Bracka Perla (in Supetar) – set in beautiful grounds, this adults only hotel features a pool and a private beach.